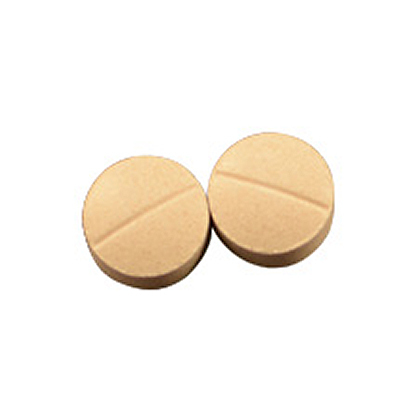 DL-Methionine is a urinary acidifier used to treat and prevent certain types of urinary stones. It can help prevent urinary tract infections and bladder stones. 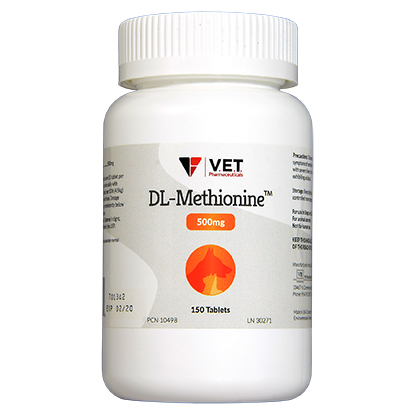 DL-Methionine requires a prescription from your veterinarian. 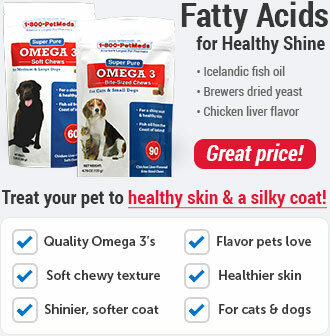 The active ingredient, dl-methionine, is an amino acid that acidifies your pet's urine. It also helps to treat and prevent certain types of bladder stones. 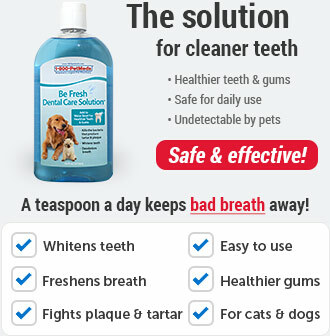 For use in dogs and cats only. Not for human use. Side effects that may occur when using DL-Methionine include loss of appetite, vomiting, or diarrhea. Other side effects may also occur. Talk to your veterinarian about any side effect that seems unusual or bothersome to your pet. Keep this and all other medications out of the reach of children. What is the most important thing I should know about DL-Methionine? DL-Methionine is a urinary acidifier used in the treatment and prevention of certain types of urinary stones. 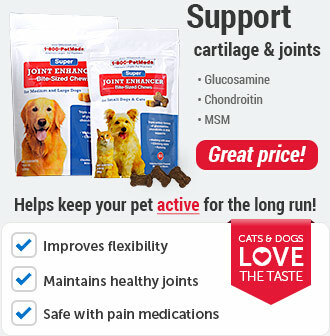 DL-Methionine is a prescription medication FDA approved for use in dogs and cats. It is available by prescription as 500 mg scored, chewable, tablets in 150 ct bottles. What should I discuss with my veterinarian before giving DL-Methionine to my pet? Tell your veterinarian if your pet has ever had severe liver, kidney or pancreatic disease, or if your pet is acidotic. How should DL-Methionine be given? Give this medication exactly as directed by your veterinarian. If you do not understand the directions, ask your pharmacist or veterinarian to explain them to you. Daily dosages vary with diet and the amount of acidification need. The usual daily dose range in cats is 1 tablet per 10 pounds of body weight once or twice daily with food. 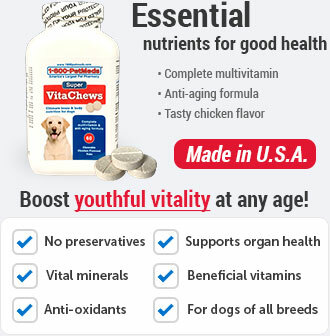 The usual dose range in dogs is 1/2 tablet per 10 pounds once or twice daily with food. What are the potential side effects of DL-Methionine? Side effects that may occur when using DL-Methionine include loss of appetite, nausea, vomiting, or diarrhea. Other side effects may also occur. Talk to your veterinarian about any side effect that seems unusual or bothersome to the animal. What happens if I miss giving a dose of DL-Methionine? What happens if I overdose my pet on DL-Methionine? In the event of overdose, contact your veterinarian or veterinary emergency room. Symptoms of overdose may be severe and could result in life threatening metabolic acidosis if veterinary treatment is not begun. What should I avoid while giving DL-Methionine to my pet? Do not use DL-Methionine in pets with liver, kidney, or pancreatic disease. 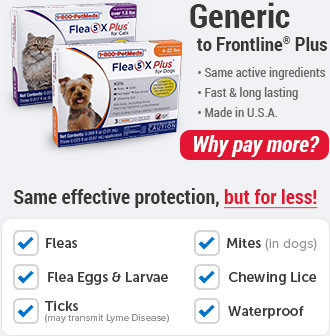 Discontinue use in pets with sensitivity. Do not use DL-Methionine in pets with metabolic acidosis or pets with urate kidney stones. What other drugs will affect DL-Methionine? Use caution when giving DL-Methionine with aminoglycoside antibiotics such as gentamicin, or when giving quinidine. Talk to your veterinarian or pharmacist before using DL-Methionine with any prescription or over the counter medications, including vitamins, minerals and herbal supplements. DL-Methionine is a prescription medication used in dogs and cats as a urinary acidifier in the treatment and prevention of certain types of urinary stones. 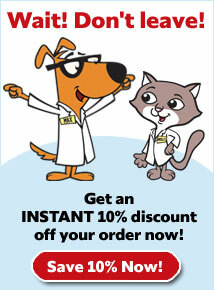 Tell your veterinarian about any other medications you are giving your pet. Tell your veterinarian if your pet has ever had severe liver, kidney, or pancreatic disease, or if your pet is acidotic. Dosage should be adjusted to maintain pH consistently below 6.6. Not intended for use on kittens. Give DL-Methionine with food. Give this medication exactly as directed by your veterinarian. Give 1 tablet per 10 pounds of body weight once or twice daily with food. Give 1/2 tablet per 10 pounds of body weight once or twice daily with food. Keep tightly closed in a cool, dry place at controlled room temperature 59°-86°F (15°-30°C). Keep this and all other medications out of the reach of children.